At some point in our lives, we will all provide care for a loved one. It can be very fulfilling and also very challenging at the same time. You want to be there for them 24 hours a day, but you have your own life to live. You may have a family, a career, or other aspirations that demand your time and attention. There is a way to feel comforted when you are away from you elderly loved one, especially if they are living alone. A Medical Alert Device provides piece of mind by simply knowing that help can be on the way with just a push of a button. 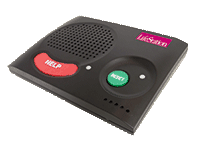 A medical alert monitoring system is easy and usually free to install. They will allow your loved one 24/7-access to an emergency monitoring center. Your loved one will have options when it comes to wearing the device, usually in the form of a bracelet or pendant. With great features like activity monitoring and fall detection, medical alert devices will ensure that your elderly family member will be found quickly in case of a slip or fall. 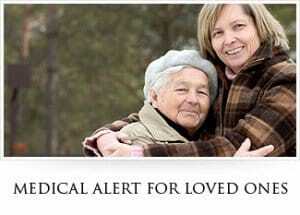 Medical Alert Advice is here to help you choose the best medical alert monitoring system options for the one you love. With helpful tips, product reviews, product comparisons, and our buyer’s guide, you’ll find everything you need to make the right choice. WE make it as easy as ever to compare medical alert systems! In addition, if you need help convincing your loved one to wear a medical alert device, we’ve got some useful tips for you. Included are helpful statistics that you should know regarding death or injuries related to falling in one’s home. Get the balance your life needs and allow yourself to go along your day with the peace of mind knowing your loved one is being protected with the most reliable medical alert monitoring devices.